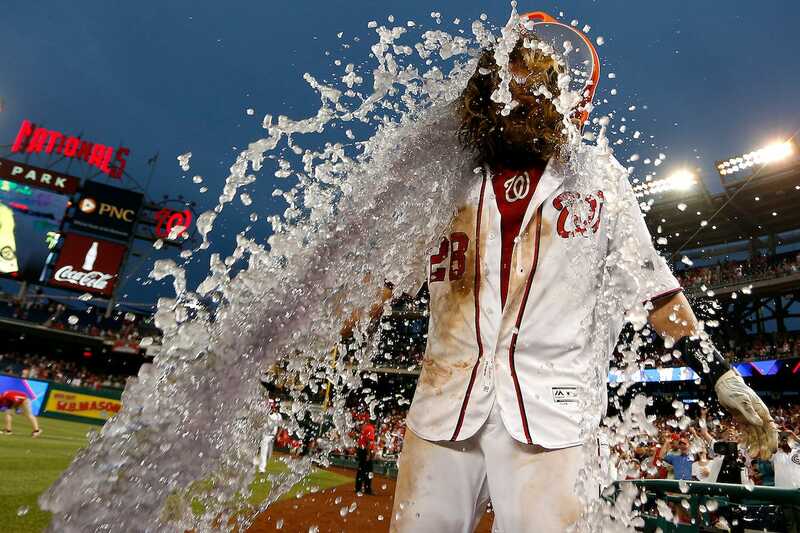 Washington Nationals’ hirsute veteran Jayson Werth hit a walk-off single in the 12th inning on Wednesday night to give the Nats a 5-4 win over the Cubs in the series’ rubber match. It was a big win for the Nationals — a possible N.L. playoff preview — and in an interview with MESN’s Dan Kolko afterwards, Werth was very fired up. Werth did not. Instead, he proceeded to scream into the microphone to tell the haters — you know, those who have lambasted the 37-year-old for being old, and for not hitting well — to kiss his you-know-what.